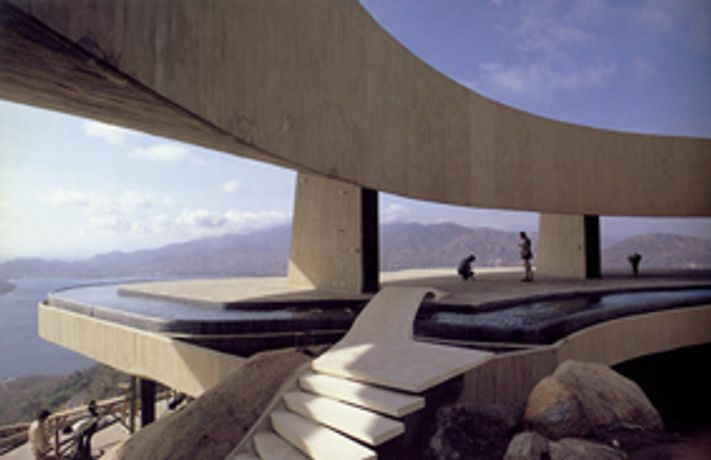 Over the course of a career spent largely in Los Angeles, John Lautner captured the essence of southern California in more than 150 distinctive structures. Trained by Frank Lloyd Wright, Lautner is best known for his private commissions such as the Elrod Residence in Palm Springs, featured in the James Bond movie Diamonds are Forever, and Los Angeles's iconic âChemosphere'. The only European showing of this large scale retrospective will feature over 70 original drawings and models, spanning a 50-year period, as well as short films by award-winning documentary maker, Murray Grigor.